Previous version CM Locker 4.6.8 apk for Android will help you to downgrade or install older app easily. This is one of the best Personalization apps. The best thing which people can find from this lock screen is that they will be able to find the lock screen which offers better functionality unlike the default lock screen from the manufacturers. People will be able to find interesting and attractive lock screen from the Clean Master. 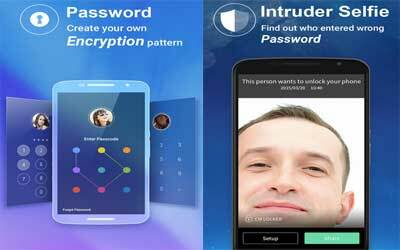 This app will help people to protect their smart phone because users can use PIN or draw selected pattern on the screen. It can be pretty common but people will find much more interesting feature because CM Locker comes with intrusion detection. It must be interesting to see the picture of anyone who tries to access the smart phone with wrong PIN. The latest notification will be displayed to the lock screen. The most important thing is that people can make configuration the way they want. It means that people will be able to set the privacy level according to their preference. This app comes with great look as well as various options. Quick,and easy to use! Just In seconds you can resolve any issues/lagging. Love the app,I recommend to everyone!